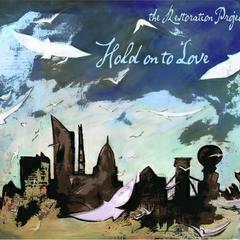 The Restoration Project is the creative identity of songwriter-composer Tracy Howe Wispelwey. Tracy is a musician, producer, theologian and pastor. She is the Minister for Community and Congregational Engagement for Justice and Witness Ministries (JWM) in the National Setting of the the United Church of Christ. As the MCCE she works with artists and ministers to translate the many powerful resources of JWM into music and liturgy for the local church setting and develop art, creative advocacy initiatives and more to help communities and congregations encounter and process complex realities in the context of the progressive theology and justice commitments of the UCC. In tandem, she helps guide the vision of Restoration Village Arts while producing music, liturgies and theological works with/in today’s specific and intersecting movement of liberation, resourcing communities, institutions and individuals in holistically seeking justice and beauty in all their efforts. Tracy’s music career began touring full-time, performing at colleges, in homes and coffee shops, and leading worship and workshops throughout the United States and Latin America reaching over 1000 campuses, churches and communities after a decade of full time pursuit. During this time, she founded Restoration Village Arts, allowing her to work alongside communities who were actively seeking new expressions of arts, worship and theology in their local contexts. Tracy is an ordained minister with the United Church of Christ, and holds a Bachelor’s degree from Colorado College and a Master’s of Divinity from Harvard University. Her new album, “Bring Me Some Peace,” will be released on AUGUST 25! - it is available for pre-order now on iTunes, and will also be available through Bandcamp and this site.